How many Indy employees does it take to be engaged at the same time? The answer is five! We don’t know what is in the water here, or if they just wanted to be mentioned in the annual Wedding Resource Guide issue, but it’s hard not to be caught up in the feeling of new love and finding out what stage people are at in their planning. 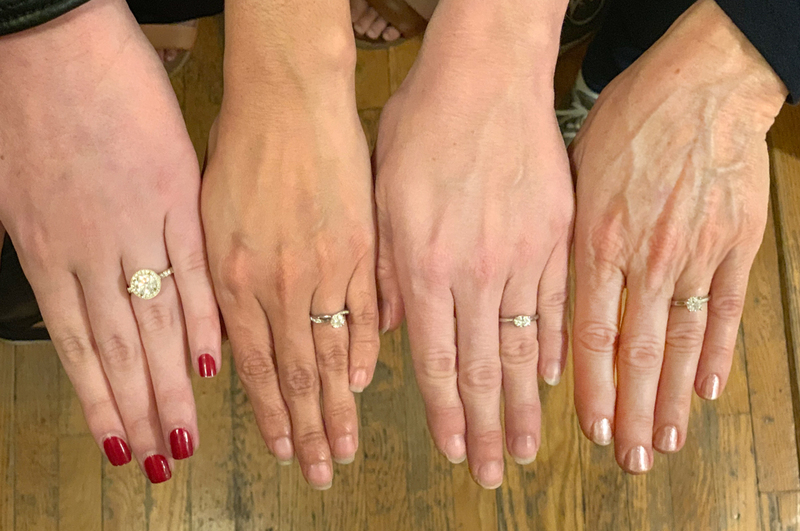 The betrothed couples got together and shared stories of how they got engaged, and it turns out all the men got down on one knee. They talked about the rings, and turns out all the men designed them and surprised their ladies. When it came to wedding hopes, turns out all the couples want a beautiful experience on their wedding day, as opposed to stressing about details. These engaged couples, who happen to be progressive, are traditional and old-fashioned when it comes to the wedding but as unique as their engagement rings (without a bridezilla or groomzilla in the bunch). A big congratulation to the Indy’s affianced!